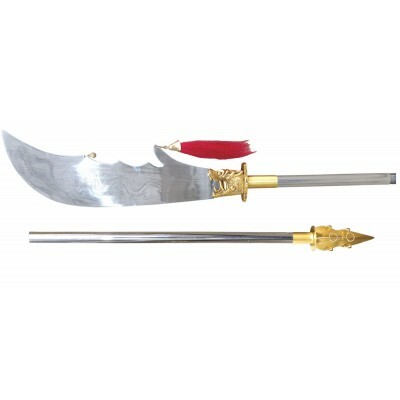 The Traditional Kwandao is made for the true traditional martial artist. 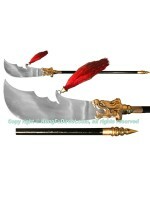 It features a stainless steel steel blade, with an engraved dragon. The shaft is made from wood and painted a black color. 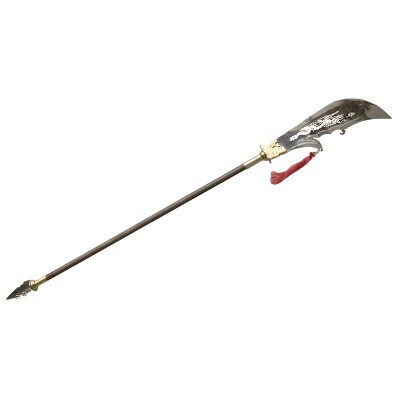 This weapon is TWO PIECE. 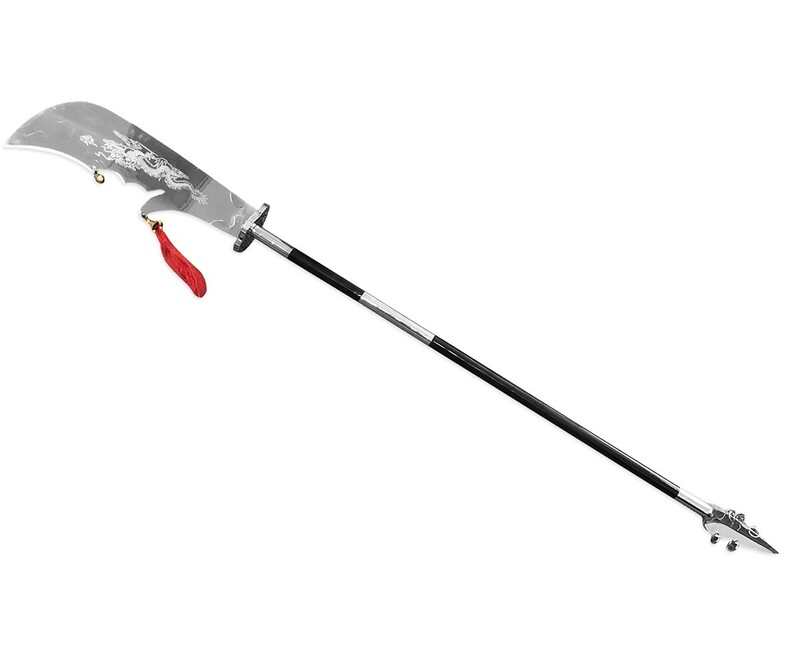 The product image shows two parts for viewing more details only. 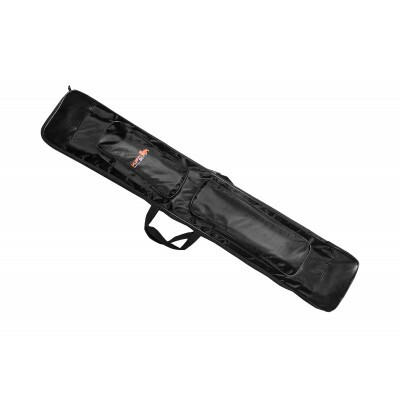 This weapon has the option of adding carrying bag (AC029). 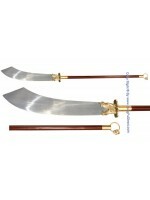 One of the traditional long weapons of Chinese martial arts, this kwandao is made from 100% high qua.. 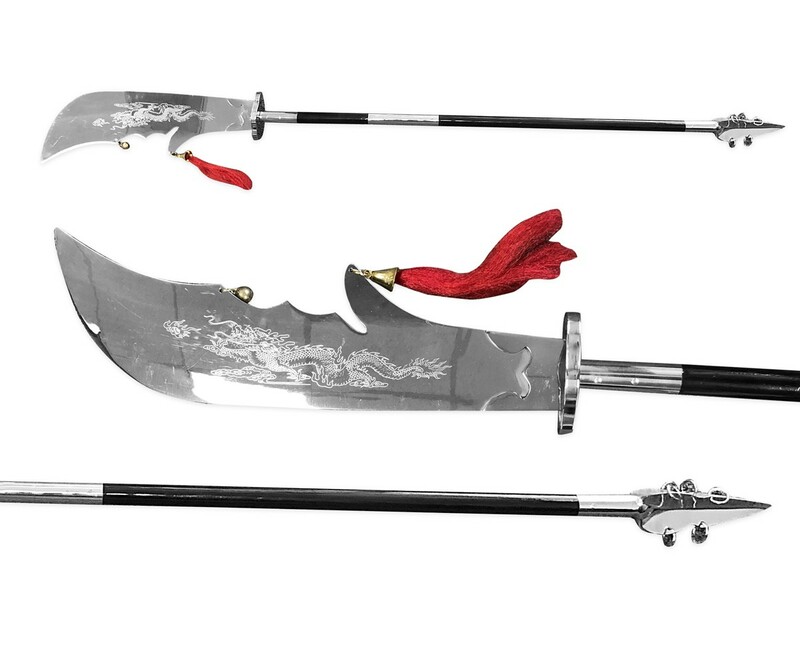 The Kwandao is one of the legendary weapons of China. 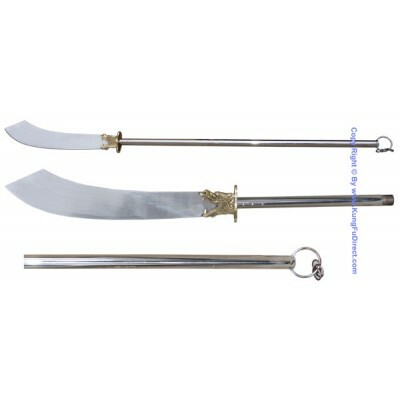 The name of this weapon is attributed to the f..
One of the traditional long weapons of Chinese martial arts, this pudao is made from 100% high quali..